The Bionic Ear Association (BEA™) is a community of recipients, candidates and professionals who connect to promote the benefits and optimal use of cochlear implants and Advanced Bionics technology. Learn, share, and make new friends at BEA Events. Find an event near you – check out our calendar for events that are occurring in your area. 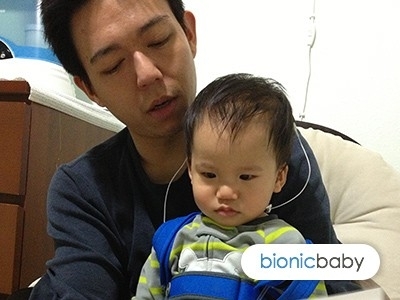 Recipient spotlight- Bionic Baby – "AB’s cochlear implant technology has changed our family life. With the Neptune™ sound processor, not only can Brayden hear and develop his speech, but he can also enjoy underwater activities with his device. Thanks to Advanced Bionics for bringing the latest innovation into our lives." -Whitney, mother of Brayden, bilateral AB recipient from Dallas, TX.